Governor Jan Brewer voted YES on HB2620 to protect your medical and personal information. 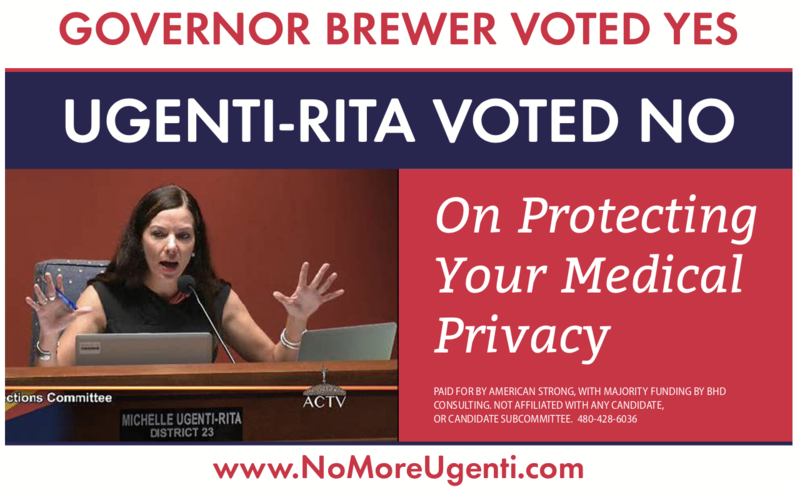 She was one of nine votes against the bill, voting against Republican Governor Brewer. Since this legislation was passed, your medical records are not available to be shared without the consent of the paitent. This bill also prevents healthcare companies from selling individual health information. 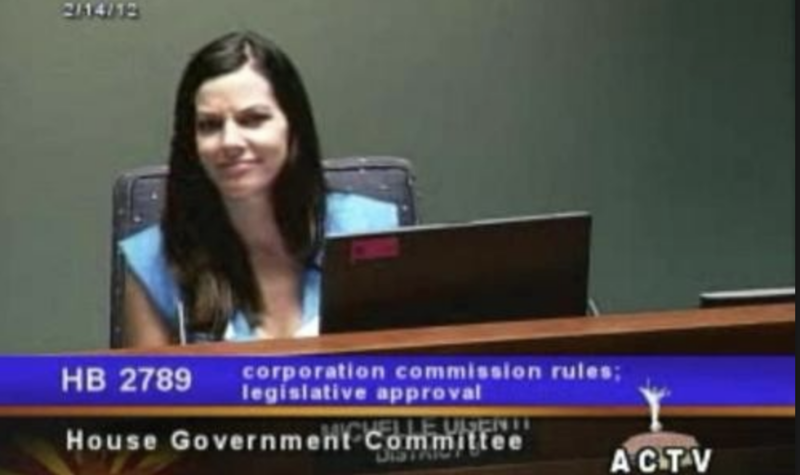 “Arizona women want equal pay for equal work,” Hannley told fellow lawmakers. “Let’s make history. There is no time limit on equality. But Majority Leader John Allen, R-Scottsdale, intervened to prevent a vote on Powers Hannley’s motion. His motion to recess the chamber for the day passed 32-25, along party lines. 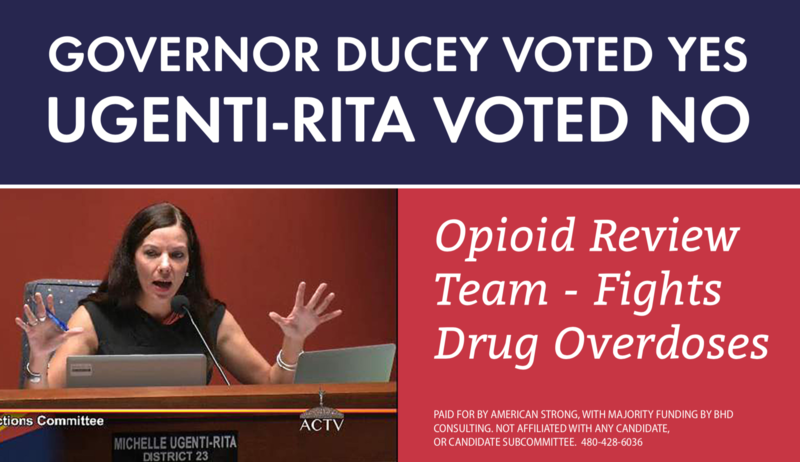 Why was Michelle Ugenti-Rita one of six votes against legislation that created an organization to review Opioid prescriptions? Blue Lives Matter was a bill that protected our Police Force. 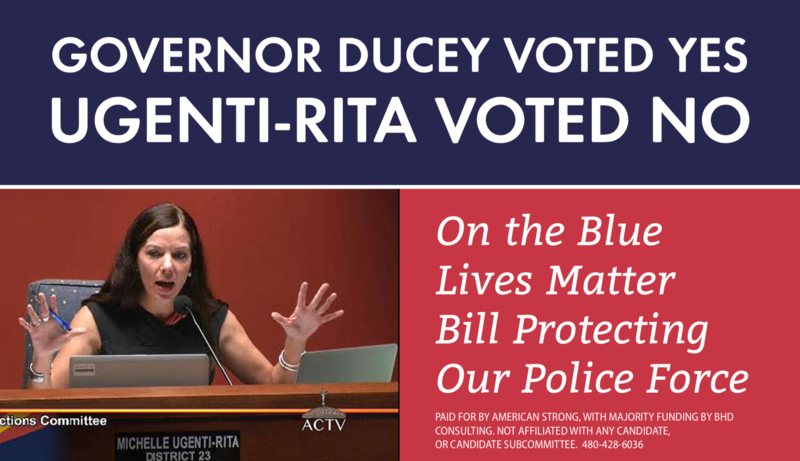 The bill had strong support from Police Associations and every Republican voted for the bill EXCEPT Michelle Ugenti-Rita. Why would she side with the ACLU and Democrats on this bill?